Book News: 'Cazalet' Author Elizabeth Jane Howard Dies : The Two-Way Also: the lawyer who leaked J.K. Rowling's identity has been fined; Kate DiCamillo is the new national ambassador for young people's literature; Danielle Steel is awarded France's Legion of Honor. 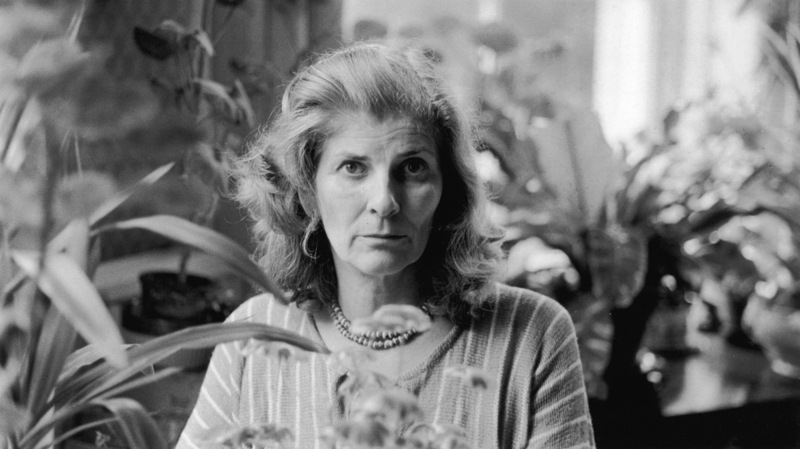 English novelist Elizabeth Jane Howard is pictured in 1978. English novelist Elizabeth Jane Howard died Thursday afternoon at age 90. Her publicist told the BBC that Howard died "peacefully — after a short illness." Howard's best-known works were The Cazalet Chronicles, a saga of English family life during World War II. In an interview shortly before her death, she said, "I'm very frightened of writing. You've got to be pretty nervous about the challenge, the blank page — anything could be on it, it could be crap or it could be wonderful." Famous for her love affairs as well as her novels, she told the BBC's Radio 4 that "wars always make people pretty unfaithful, because they feel this might be their last chance." Her third husband was the novelist Kingsley Amis, and she had love affairs with former U.K. Poet Laureate Cecil Day-Lewis and Darkness At Noon author Arthur Koestler. "I had a lot of affairs," she later said. "I was a tart for affection most of my life." Because of Winn-Dixie author Kate DiCamillo was named the Library of Congress' next National Ambassador to Young People's Literature. During her two-year appointment, DiCamillo will travel across the country promoting children's literature. Librarian of Congress James Billington said in a statement that "Kate DiCamillo is not only one of our finest writers for young people, but also an outstanding advocate for the importance of reading." Christopher Gossage, the lawyer who indirectly leaked the news that J.K. Rowling was writing under the pseudonym Robert Galbraith, was fined £1,000 (around $1,640). Gossage, whose legal firm represented the author, told a family friend that Rowling was the writer behind the detective novel The Cuckoo's Calling. The friend then leaked it to a reporter at The Sunday Times. The ruling was made in November, but published this week. Prolific romance novelist Danielle Steel, whose books have sold 600 million copies worldwide, has been received the Legion of Honor, France's highest award. And in weird news, actor Shia LaBeouf hired a pilot to write "I am sorry Daniel Clowes" in the skies over Los Angeles, in an attempt to apologize for lifting material from the comic book writer. LaBeouf has admitted that his short film "HowardCantour.com" used parts of Clowes's story "Justin M. Damiano" without crediting him. David Foster Wallace biographer D.T. Max writes about Signifying Rappers, a collaboration between Wallace and his former roommate Mark Costello: "A hybrid work, part reporting (Costello), part rumination (mostly Wallace), part music criticism, and part cultural analysis, it's studded with signifiers, the emotions around which have by now cooled. Here you experience again the urgent topics of that day: the evil that is the yuppie, the question of whether rap incites violence, the ethics of music sampling. It's curious how, though in the past, these issues extend into our time. Into the gloaming sadly goes Wallace himself now, as well. Like all of his posthumous publications, 'Signifying Rappers' must confront what Costello described to me as 'the sense of a conversation interrupted, a phone gone dead,' the ineluctable fact of the now-silent Wallace."